'Jobless Paddy' joins Paddy Power: Féilim Mac An Iomaire poses outside a bookies' outlet earlier today, on his first day working for the company. IT WAS A STUNT that was the last throw of the dice – but for Galway jobhunter Féilim Mac An Iomaire it was a gamble that paid off. Mac An Iomaire, an unemployed marketing graduate from Connemara, had spent nine months unsuccessfully looking for work after returning from overseas – and, at a loss for any other way of getting a job, spent his last savings on a billboard advertising his services. “Save me from emigration”, the simple billboard read, adding just his email address and an appeal to get in touch. The billboard, which was displayed on Dublin’s Merrion Road for a fortnight at a total cost of €2,000, was Féilim’s last chance of staying in Ireland – but his brave tactic paid off. Today, less than three weeks after the billboard was unveiled, Mac An Iomaire starts his new job as a communications executive with bookmakers Paddy Power. “They were among the first that reach out to me,” Mac An Iomaire said, taking a quick call from TheJournal.ie during his first lunch hour. Proving that the billboard campaign – which was paid for with the last of his savings from a previous job as a hotel representative in Australia – was a worthwhile investment, Mac An Iomaire said the job offer from Paddy Power was not the only one he received. “There were other offers coming in, but they were really understanding in terms of giving me the time to mull over everything. “They gave me enough time after the offer to go to other interviews, which was a big thing for me, and a few other offers turned my head but none as much as this. There was more money elsewhere, but the opportunity to work with people in here… I definitely couldn’t turn it down. His new role is a relatively junior one, he says, but he was happy to be put on a learning curve in an organisation he was pleased to be part of. While he acknowledged that the amount he had spent on the billboard may have seemed excessive, the €2,000 was “the best money I’ve ever spent – it feels like loose change from the back pocket now. The biggest thing you get out of work is the dignity, and for me to get that back is just excellent. 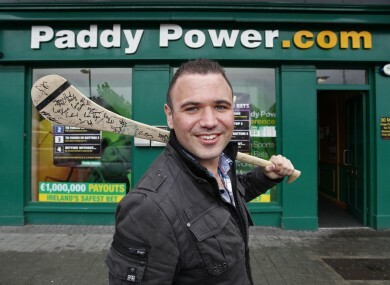 Email “Not-so-Jobless Paddy: Billboard jobseeker wins PR role with Paddy Power”. Feedback on “Not-so-Jobless Paddy: Billboard jobseeker wins PR role with Paddy Power”.